The digital transformation is one of the most important challenges for the financial industry. 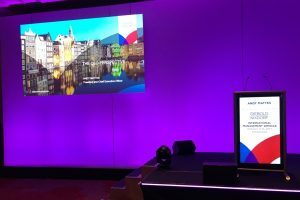 More than 180 participants from 35 countries attended this year’s International Management Seminar in Amsterdam to discuss the current situation of the international banking business and how to bridge the physical and the digital worlds. For the first time since the merger of Wincor Nixdorf and Diebold last year, the IMS was organized under the new company’s name Diebold Nixdorf. 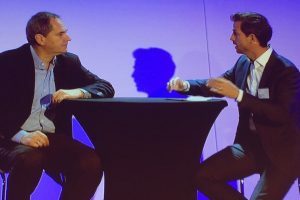 I had the pleasure and the privilege to host this international event the for 7th time and conduct a long interview with Diebold Nixdorf’s president & CEO Andy Mattes on the stage about the new company and his vision for the future of the industry.